Summary: When a late-in-life love affair blooms between Mr. Forrest Payne, the owner of the Pink Slipper Gentleman’s Club, and Miss Beatrice Jordan, famous for stationing herself outside the club and yelling warnings of eternal damnation at the departing patrons, their wedding brings a legend to town. Mr. El Walker, the great guitar bluesman, gives a command performance in Plainview, Indiana, a place he’d sworn—for good reason—he’d never set foot in again. But El is not the only Plainview native with a hurdle to overcome. A wildly philandering husband struggles at last to prove his faithfulness to his wife. A young transwoman lights out for Chicago to escape her father’s wrath and live an authentic life. And then there are the lifelong friends, known locally as “The Supremes,” who show up every Sunday after church for lunch at Earl’s All-You-Can-Eat—Clarice, facing down her longed-for chance at a great career; Barbara Jean, grappling at last with the loss of a mother whose life humiliated both of them, and Odette, reaching for her husband through an anger of his that she does not understand. 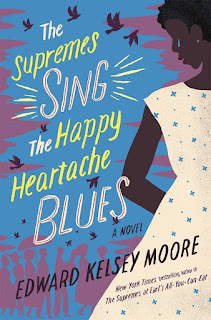 Review: It goes without saying that the latest from Edward Kelsey Moore is a delightful read. 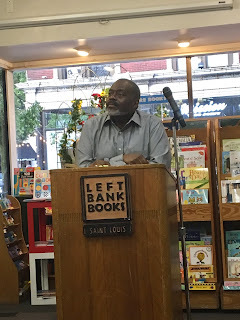 Not since Eric Jerome Dickey burst upon the literary scene in the 90s has a male author written such well rounded, fully realized female characters. Moore's characters are thoughtful, insightful, funny women. They value friendship, family and love, and heaven help you if you mess with anyone they consider a friend or family member. 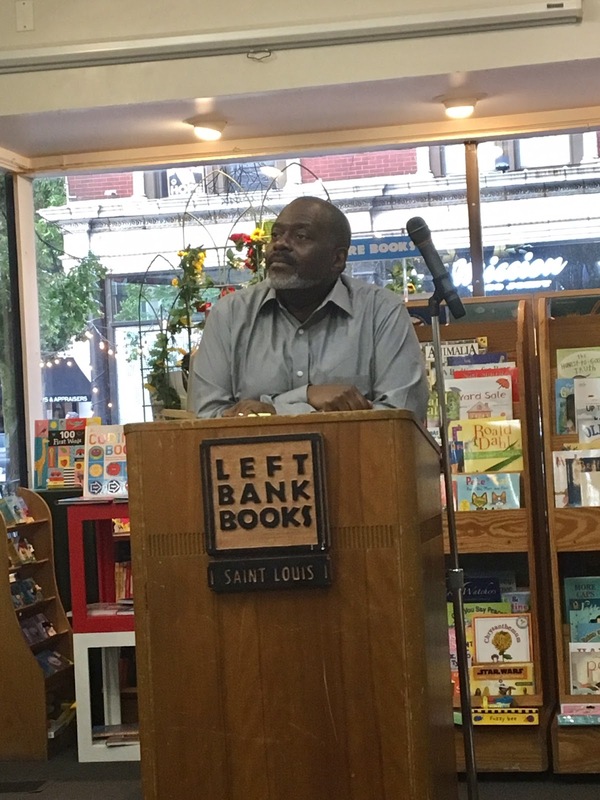 The author was in St. Louis last night to talk about his latest and he dazzled the audience with his infectious smile and sense of humor. Though I've read both of the Supremes books, the characters came to life once again through his jocular style of reading. He even managed to find the humor in a loud book store patron who didn't seem to know, or care, that he'd interrupted an artist at work. As Moore tells it, he came later in life to writing. A professional cellist for over 30 years, he's just now starting to realize that the writing could be a thing for him. He told us the story of an aunt that attended funerals regularly, even if the deceased was just a passing acquaintance - a real life Weeping Wanda if you will. But she didn't just attend the funerals, she took him along as a child, and when she returned home, she'd call her friends and rate them on the floral arrangements, how many were in attendance, how much people cried, etc. So when his publisher called to let him know that his first book had hit the New York Times bestseller list, what was his immediate thought? My obituary is going to be fabulous! How can you not love an author like that? I'd certainly love to see more from the Supremes and the residents of Plainview, Indiana, but I'd be just as happy with anything else he writes. And I promise that if you read just one of Moore's books, you're going to want to read the other. And then you'll be like me, sitting around waiting to see what he does next. And whatever it is, you know that just like his obituary, it's going to be fabulous!